I get asked a lot about a birth story session. The costs, what comes with a birth story session and many others so I wanted to tell you all what I do and give you a little peace of mind for when you hire me or if you are thinking about hiring me as your birth photographer. What is the benefit of hiring a birth photographer? A lot of partners and families are having their first child, or a rainbow baby (a child after a loss) first grandbaby or just want to capture their babies birthday. I know that you don’t want to be worried about grabbing a camera to snap a photo or having to constantly be asked “where is my cell phone” this is a very precious time in your life and you want to focus on your partner, not some silly cell phone. That’s where I come in. I am there to capture the moments for you and you and your partner be able to enjoy this time and focus on one another, not worrying about a cell phone. You both can be more in tune with the birth. What is included with the birth story? You will get an on-call availability for 2 weeks before your due date and 2 weeks after, an online private gallery that is password protected. Only those that you share the login information can get into your gallery. You will have me there from 1-2 hours after your birth to capture that skin to skin with mom and dad, your older children meeting their new baby sibling. Grandparents meeting their brand new grandbaby for the very first time. You know, all those emotions moments that you will want captured to look back on for years to come. What birth story services do you offer? I offer photography and videography for your birth story. For pricing information shoot me an email. How long does it take for me to get my images? It typically takes about 2 weeks for me to edit your gallery and that is about 200+ images that I’m editing. How long does it take to get my birth story video? It typically takes about 6 weeks to finish a birth story video. I also add licensed music to your video so it takes time to match your birth video to that. I don’t rush these edits. If you need a rush session I charge a fee but can rush the order if I need to. What is your style for birth photography. I know that as a portrait photographer I can say that my style is very moody. I don’t shoot a lot of bright and airy photography. I love the old film look. My grandfather had an old film camera and I used to take all the photos and burn through rolls of film. In birth photography, I am the same way. I am telling a story of your child’s birth. I want it to look as though it could be placed in a film and you would want to watch it over and over like you have watched the movie frozen ( I say that if you have kids now if you don’t bless you) over and over. I also edit my films the same way. It’s a story and I want to tell it in the very best way! When should I book my birth story session? NOW, get on the phone and call me…really though, as soon as you’re through your first trimester I say touch base with birth photographers and find one that you feel fits into your family. Find someone that you feel you could let be in your kitchen with you cooking up a good old fashioned home cooked meal. That way you feel very comfortable and know that you are going to not even know that they are there and not be worried about being modest. I can tell you now, I am going to see just as much as your partner and I am not even married to you! So please, make sure you have a sit-down meeting before you choose to hire them. That leads us to our next question. What if I don’t want everything photographed? I will set up an in-person consultation where I come to your home or we meet at a local coffee shop and have a sit down chat. You can ask me any and all questions that you may have and I go over my contract and we talk about what you want to achieve in your birth story. I will ask about those photos that are not for everyone to see, but you may want to have for your own personal reasons. I never share images unless I am given permission from my clients. I make sure that we are on the same page when I am sharing your images. When do you come to the hospital? I will come to the hospital when you are at about 5cm dilated. Sometimes I will come a little before. We will keep in touch as you are getting checked by your doctor and we will make sure that I am aware of how your labor is progressing. How long will you stay for the birth story session? I normally stay for 1-2 hours after your birth. I capture the skin to skin moments, cutting the cord, baby getting weighed all the little details for you. I will even capture your littles meeting their new sibling if they come in after the birth. What can we do to ensure the best photos possible during our birth story session? Leave all the photographing up to me this is what you are paying me for so I ask all my clients if they would leave their cell phones to the side and wait to capture images after I am done with your birth story. I send you sneak peaks 24 hours after for you to share with family, friends and put on social media if you want. So there is no need for you to worry about getting a photo because I will have plenty for you to share. It also can hinder that one shot that you want if you have your cell phone up in my view. So, please leave your cell phones and let me capture this precious moment for you. 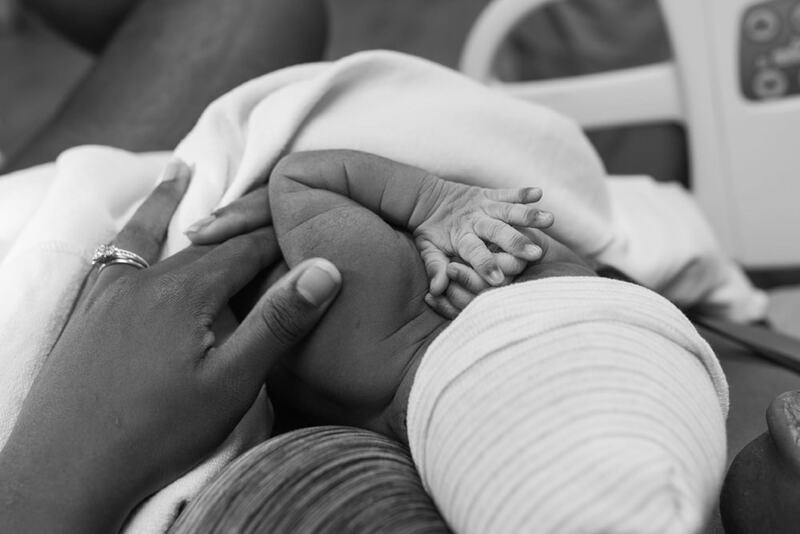 Do you photograph cesarean births? Yes, I do! Some hospitals allow for you to have a birth photographer present in the operating room and some don’t. I was trained to be in the operating room for a birth so you don’t have to worry about that part. I also have photographed a cesarean birth at Castle Hospital in Kailua, HI and they have a policy of no photographers in the operating room. So just speak to your doctor and let them know that I am on your birth team and if it should come to you having to have a cesarean section and baby is not in distress or there is no emergency situation that you want me in there. Are there times when you are not on call? I would like to be able to celebrate my husbands & children’s birthday’s (November 30th September 8th & January 18th), Thanksgiving Day, Christmas Eve & Christmas day, but if you are due to deliver on these days and want to book me we will sit down and chat about a plan for me to be able to celebrate these days early with my family so that I can attend your birth. I love birth’s so much that I can celebrate these days in a special way with my family still and be there for you as well. My husband is in the military so I know all about celebrating these holidays any day of the year! Do you have a backup plan in case something were to happen and you could not attend my birth? Yes, I work with several birth photographers that have my same style and we are there for each other as second shooters. I make sure that if something comes up they can attend your birth in my place. What happens if you miss my birth? If I am given reasonable notice that you are at 5cm dilated and we have kept in contact of how you are progressing I will be able to see if I need to head to the hospital early, now fast births do happen and there is a chance that I could miss you having the baby, but I will still head to the hospital and do all postpartum photography. I do not refund the retainer because of the on-call life several weeks leading up to your birth. I will stay and shoot as much as I can of the postpartum. I will also come back the next day if needed to get family meeting baby and siblings. You also do other photography sessions, what do you do if I call and you are at a session? I don’t shoot any other sessions while I am on call unless I know that they understand that if you do call I am leaving in the middle of the session and we will have to reschedule, but you are also going to keep me updated and if your water were to break and I am at a session then I have time to get in my car and get to the hospital. If I am doing your home birth I will not be shooting while I am on call. Home births do not do checks like they do at the hospital and I am not going to risk not being able to be there for you. This is why Birth Photography cost more than just a normal family session. We give up other sessions to make sure that you are the number one most important person for that time. Do you offer payment plans on a birth story session? I do, I do not have just one payment plan option either. I work with every family individually. All that is required is a retainer to secure your babies birth date and payment be paid in full by 37 weeks gestation. The remaining balance can be worked into a payment plan that fits your families needs. Do you offer multiple package session’s? Yes, normally my birth mom’s want to have a maternity or newborn lifestyle session done. Let me capture your birth story. Contact me to find out more. Brooke Flanagan is a Honolulu Birth Photographer based on Oahu and available for travel to the surrounding islands. She specializes in maternity, birth, newborn lifestyle, families and more.